Nelli Quickly Becomes Kevin’s Mascot for Cute! 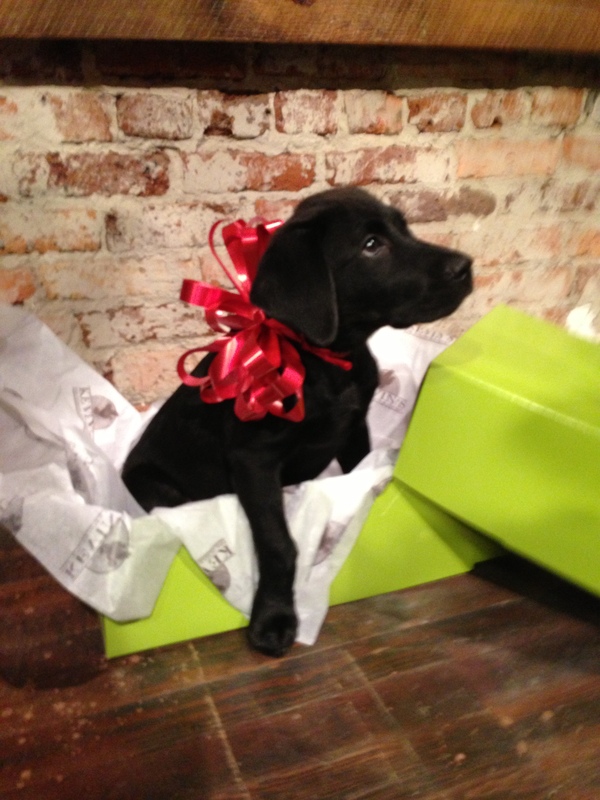 We had so much fun last Friday, our manager’s son came by to visit with his lab puppy Nelli. Immediately, we decided a photo shoot was in order and with iphones (and finally a good camera), we spent a few hours with Nelli as center and focus of our new game day merchandise and potentially our holiday dog! Nelli is only 12 weeks old but she was sweet and cooperative – she’s a star already and will eventually be retrieving birds in the field. 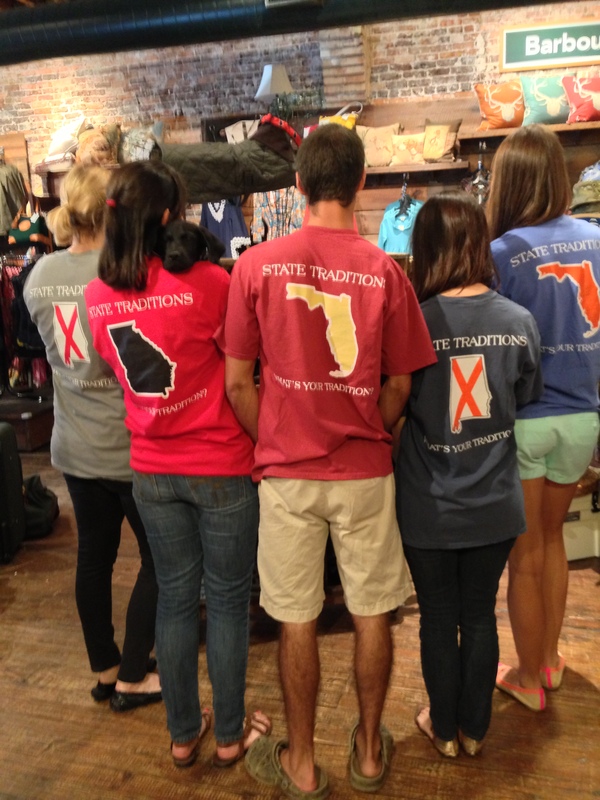 Our fall State Traditions tee and belts got everyone excited too – being in the south, we love our SEC and ACC football so there was no shortage of absolute loyalty to each school’s shirts . We decided to let everyone pick their colors and display to the world (along with Nelli)! We couldn’t resist this face! Nelli modeling like a professional for our impromptu photo shoot at Kevin’s Fine Outdoor Gear & Apparel. 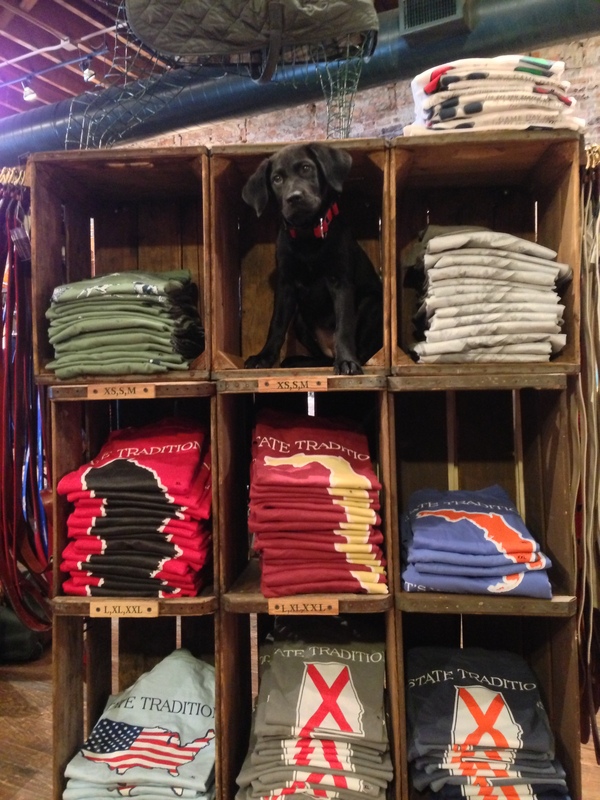 Nelli is too tired to take sides, she loves all the State Traditions Tees and belts!